Hello!! Sorry the blog has been a little quiet, I've been busy behind the scenes working on some projects and yesterday was my birthday! So I took it easy! : ) Ok, so it's our final week with the amazing Teri Anderson as our muse at CASE Study! I've certainly been inspired! Check out Teri's card this week. 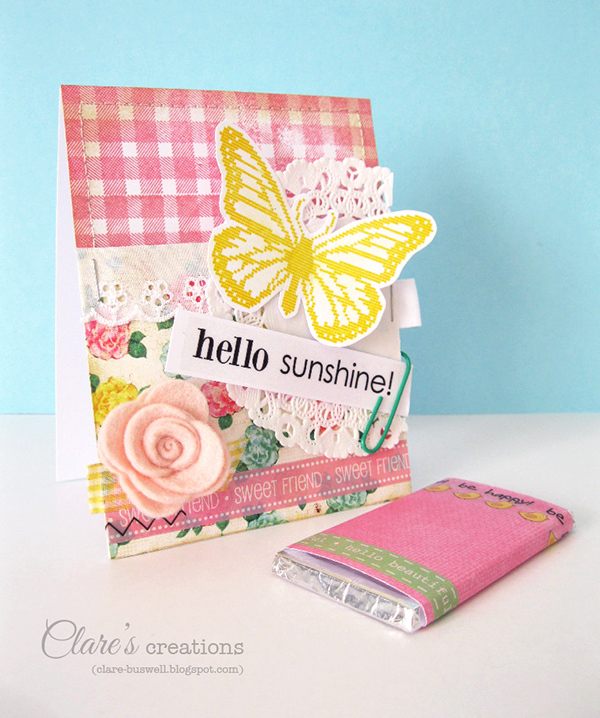 I CASEd the use of gingham, the washi tape, the pocket, general layout, ribbon loop tag and the freestyle collage (attempt at it anyway!). 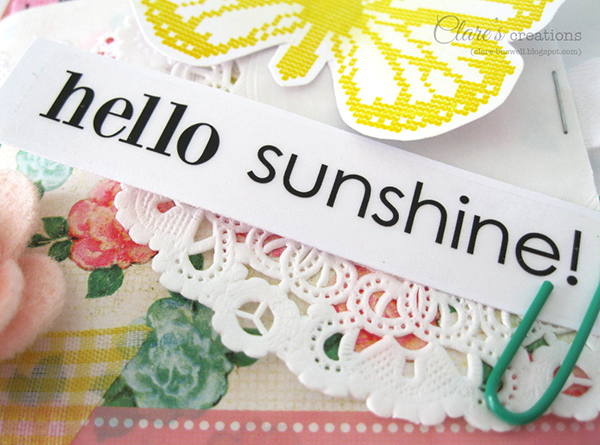 What's better than a handmade card? A handmade card with chocolate!! Instead of money (which is good too!) I opted to add a bar of yummy chocolate into the pocket I made on the front of the card. I covered it with some pink paper and some We've Got Your Border Pastel stickers from SRM Stickers. The fabulous butterfly from Nordic Spring from Waltzingmouse Stamps I stamped using Lemon Yellow ink and cut out. 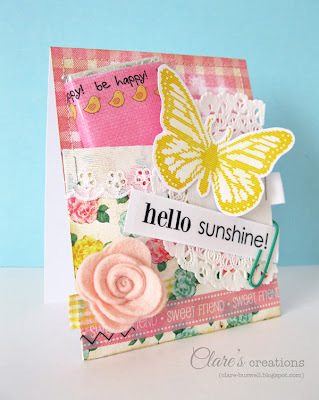 The gingham background I stamped using VersaMagic Pink Petunia and Gingham & Co from Waltzingmouse Stamps. 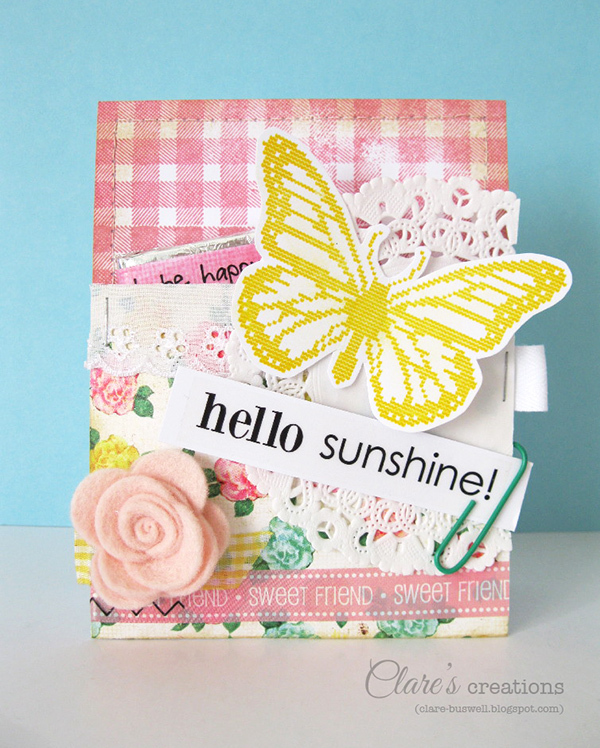 The sentiment is from Sticker Sentiments Spring from SRM Stickers. The floral paper is from Crate Paper Little Bo Beep. 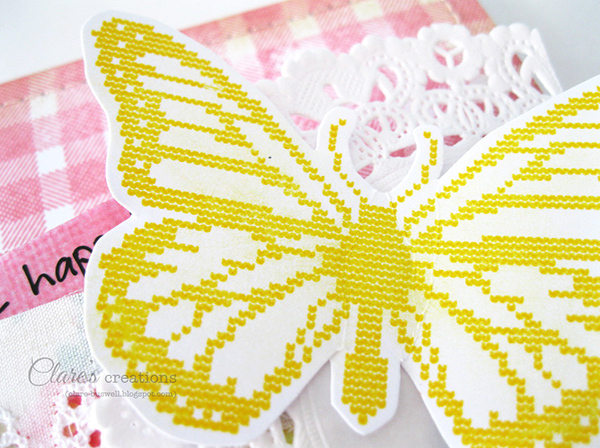 I added a little bit of yellow gingham washi tape, some more SRM Stickers - We've Got Your Border Pastel and a little die cut felt flower. 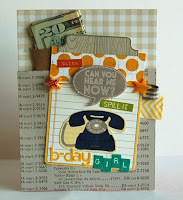 Now check out how my CASE Study team mates were inspired by Teri's card this week! 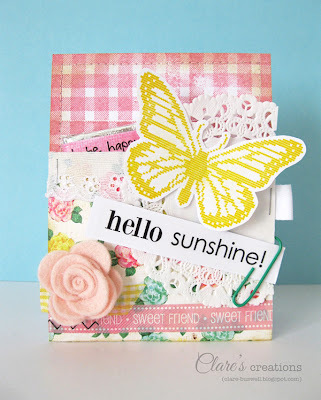 I'll be back later for a special Waltzingmouse Stamps blog waltz (hop)! See you then! You win! This is my fave this week at CASE! 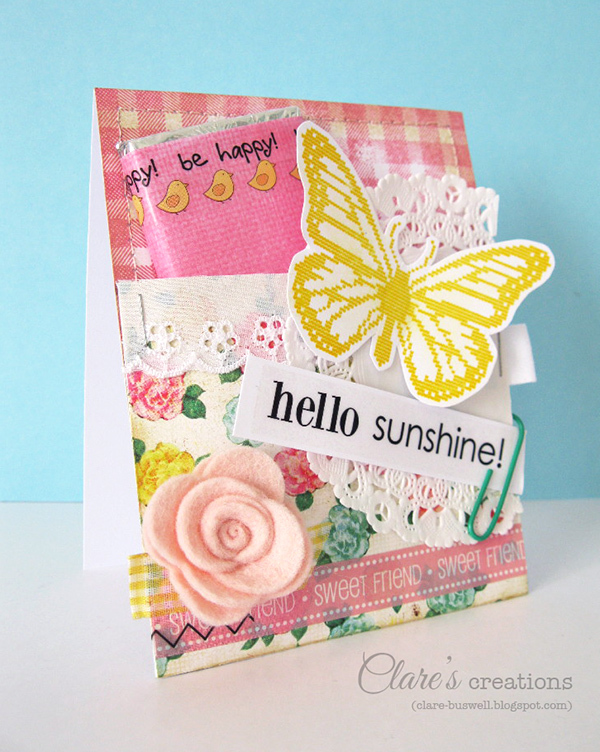 Love that soft felt flower and that big WM butterfly! Really gorgeous Clare! One of my all time favorites here! This is SO SO pretty! 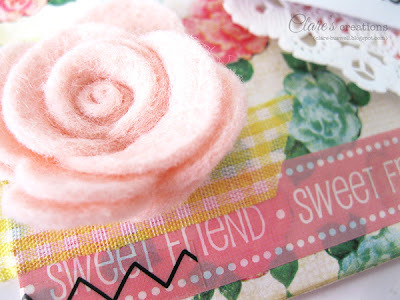 LOVE that felt flower,and the gorgeous colors you've used! Have to admit, I did not recognize Teri's card - at first. But then, voila. And what a beautiful, country feel you've created. Love the patterns and colors - and even that it holds a goodie.